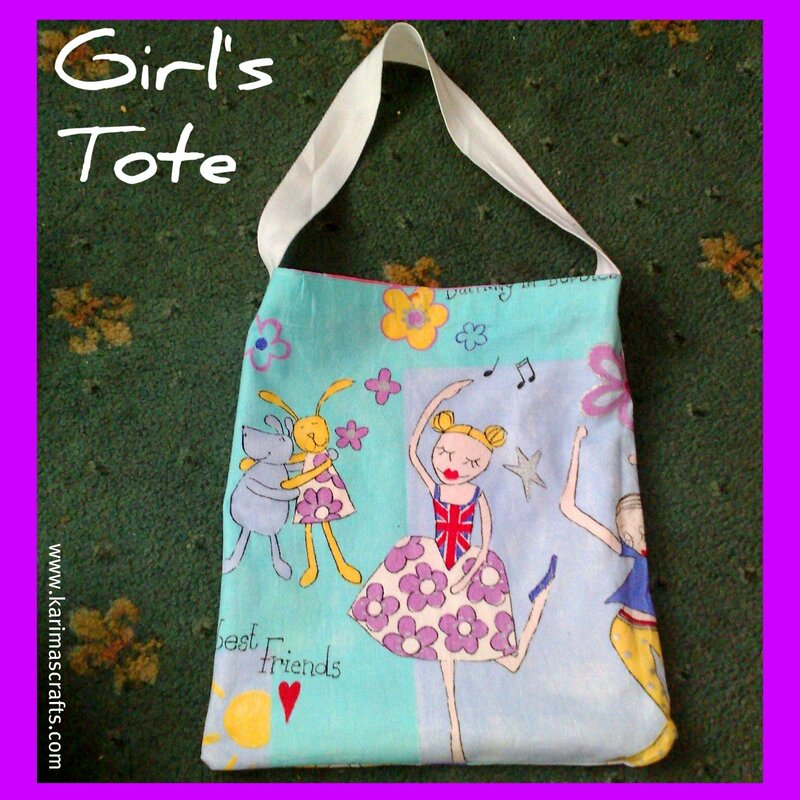 The photo above shows a reversible girl's tote bag. I made this for a little girl's birthday present. I used upcycled curtain material for the fabric in the top photo. For the photo below I used fabric purchased by the metre from a local store. I used the Hello Kitty Iron on applique for one of the sides. From the remaining curtain fabric I also made a girl's apron as a present for the same little girl. 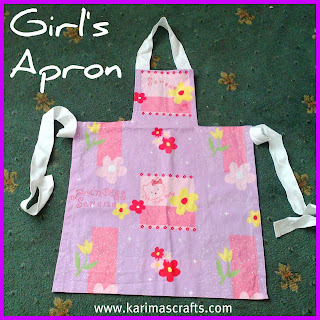 Below is a photograph of the apron I sewed. 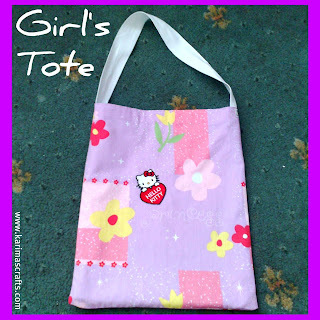 I used the apron string fabric for the tote bag handles. 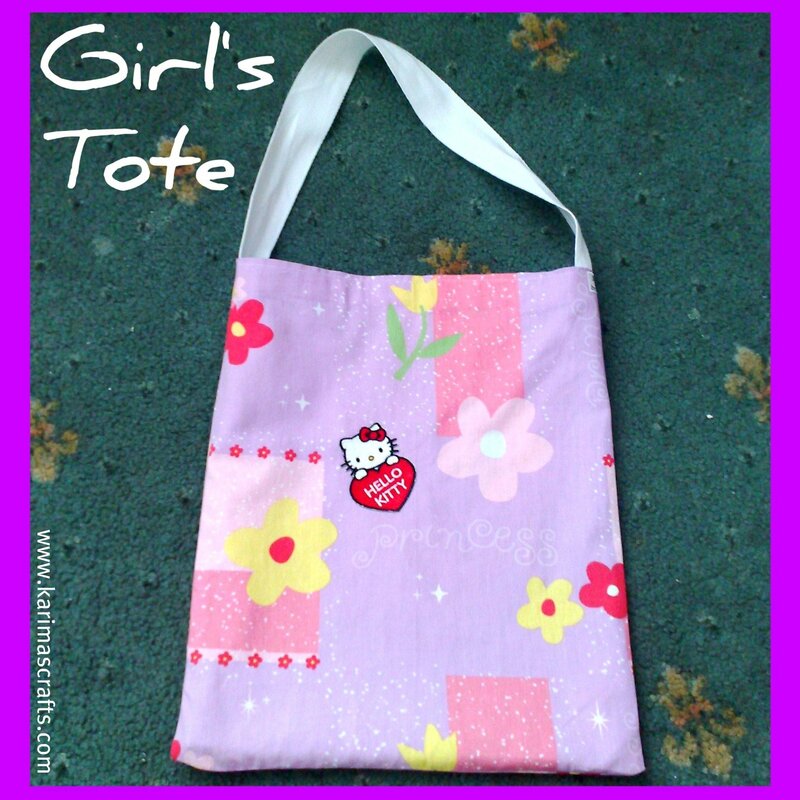 I didn't use any particular pattern for the bag, but if you were wanting to make one, there are many free tutorials out on the internet showing you how to do this. The tote and apron are so cute. I am following you via fab friends blog hop. Hi, this is Karima. Thanks for the comments. I sewed this on the sewing machine. I only have a basic sewing machine and my lines are not perfect, but they do. This bag is good, though you don't see the stitching on the sides, just on the top.